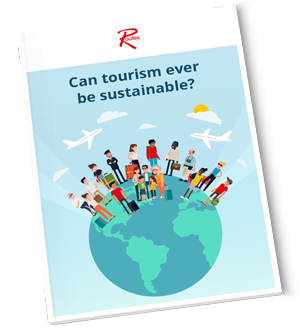 Can tourism ever be sustainable? While international travel creates jobs, economic growth and development opportunities, there are major challenges ahead. Managing tourism efficiently without damaging a country’s social, cultural or environmental well-being is increasingly difficult – and there is no easy fix. Tourism is overloading infrastructure, damaging nature and posing threats to traditional culture and heritage. Increasing visitor numbers at all costs is no longer a sustainable strategy. UBM (UK) Ltd may from time to time send updates about Routes events and products and other relevant UBM products and services.